Appam & Egg Curry one of my favourite dish i prefer to have either as breakfast or for dinner. Appam is a fermented flat bread made out of Rice and Coconut. There are several variations of this dish. They are very light and crispy towards the edges, soft and juicy at the centre. They are made from a batter using rice, yeast, salt and a little sugar. After the mixture has stood for a couple of hours, it is fried in the “appachatti” which is a specially designed pan. 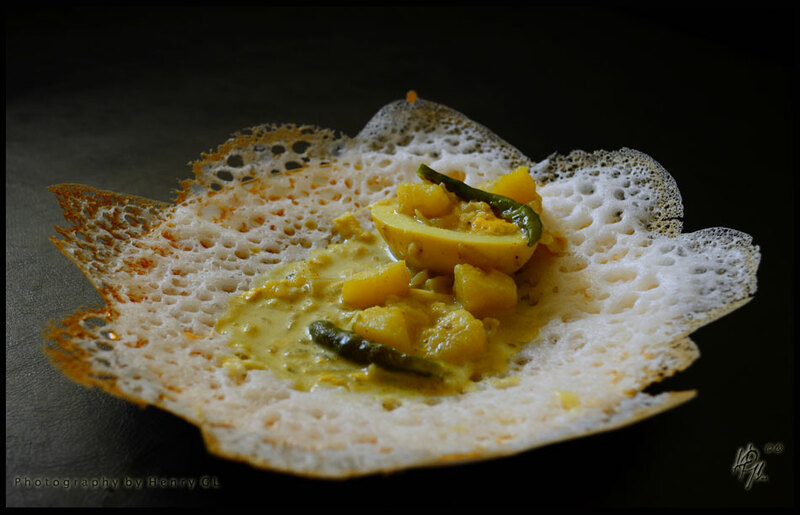 These appams are fairly neutral in taste and mostly served with some spicy condiment or curry. My choice is to have it with spicy Egg Curry is an outstanding combination.